What the heck is Punky’s rice? A tasty new way to cook some rice. John named this…..after me…..one of his nicknames he has called me from time to time. Punky’s sounded better than freckle’s or munchkin’s rice….and way better than some of the other nicknames I have received over the years. So there you have it, Punky’s rice. 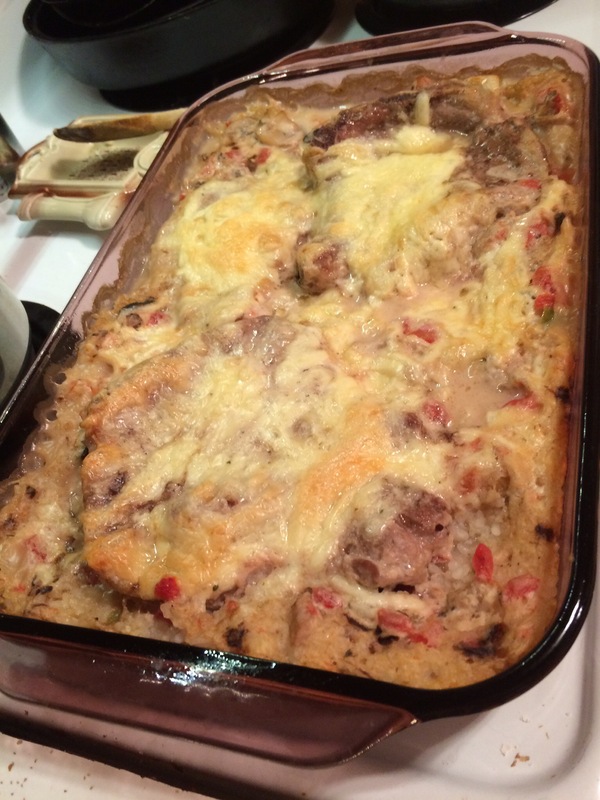 This dish is easy to prepare and seemed to be a big hit in the flavor department. You will need a 13×9 pan, pre heat oven to 350. I would spray or coat the pan for easier clean up. After rinsing rice pour into baking dish, spread evenly over the bottom. In a large bowl open mushroom soup and Rotel. Place in bowl, mix in drained mushrooms and onion powder until well blended. Heat water in pan and mix into soup mixture, pour evenly over rice. 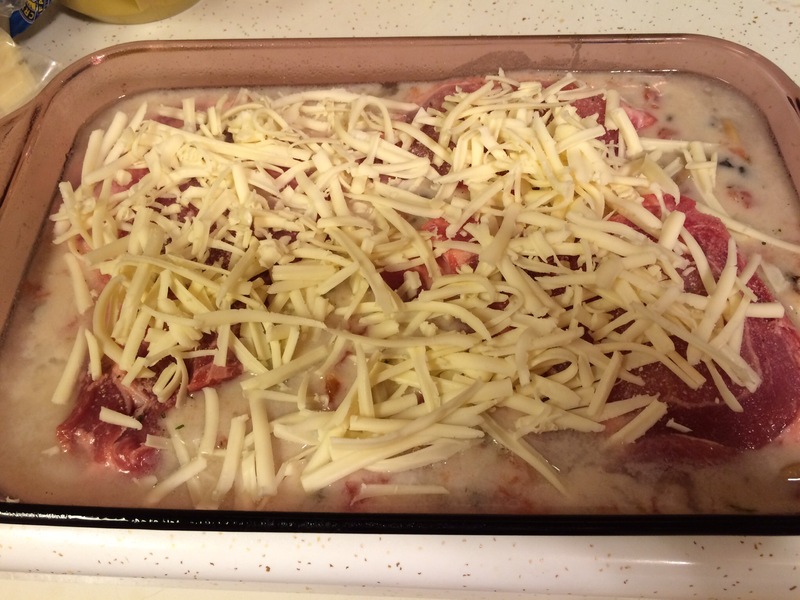 Place pork chops on top and top with grated cheese. Bake one hour. That’s it! These were so good and the rice even better.